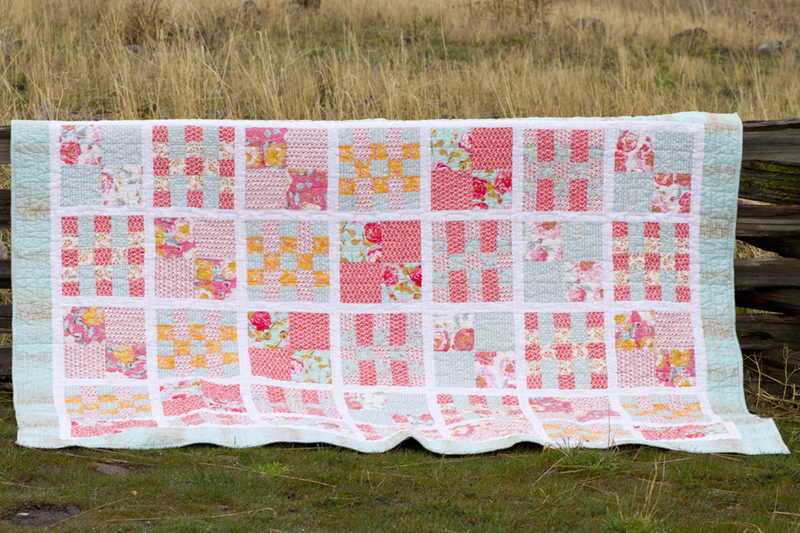 Last September, I started using a FREE website called Pattern Jam, and the owner, Emily, was holding a contest to create an original quilt design using a fabric line she designed for Riley Blake Designs called Chatsworth. 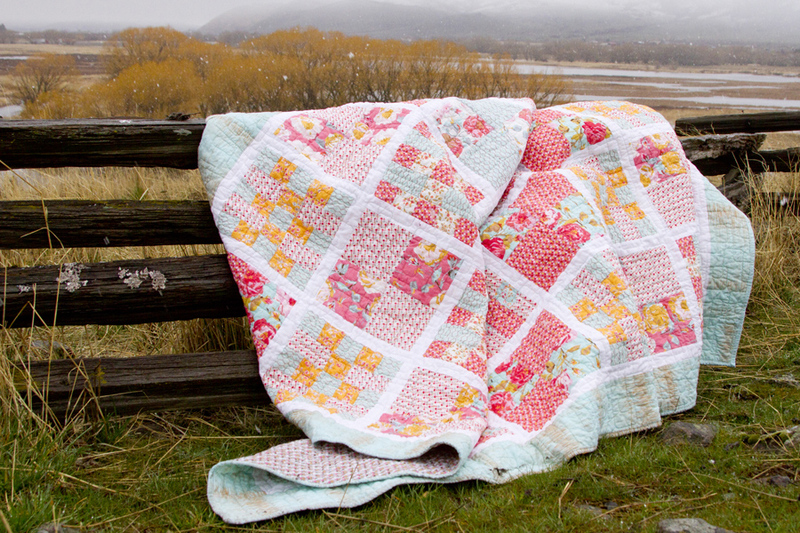 At that time, I had made quilts before, but I had never created one of my own from scratch. I was in shock when Emily posted the Chatsworth Design Winners, and I learned that my design had been chosen as the Runner Up! 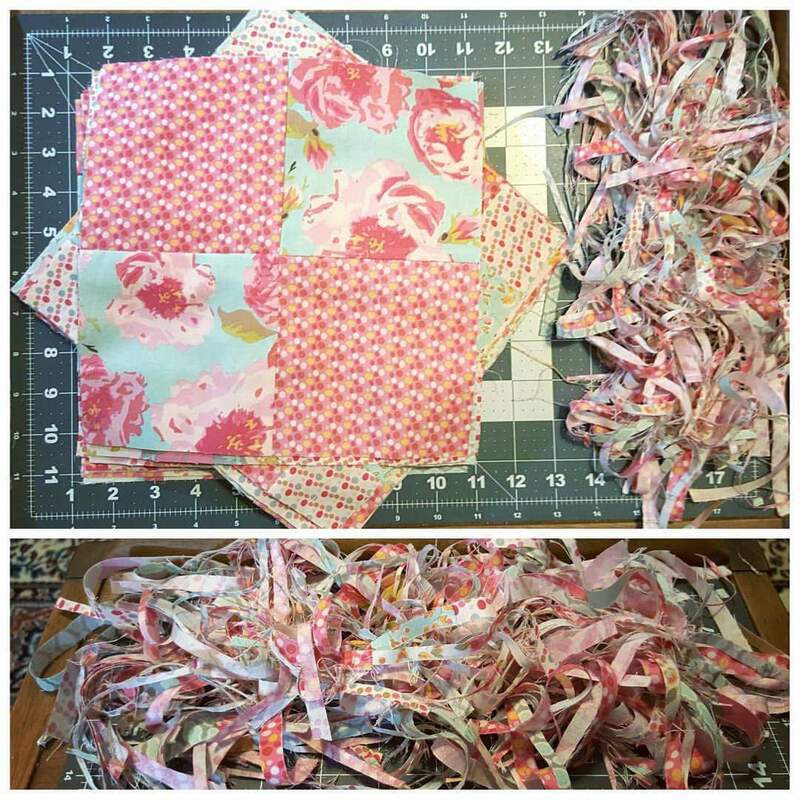 Staci, from Vintage Fairytale Fabrics created the winning design, and she will be receiving her quilt fully made and ready to use. 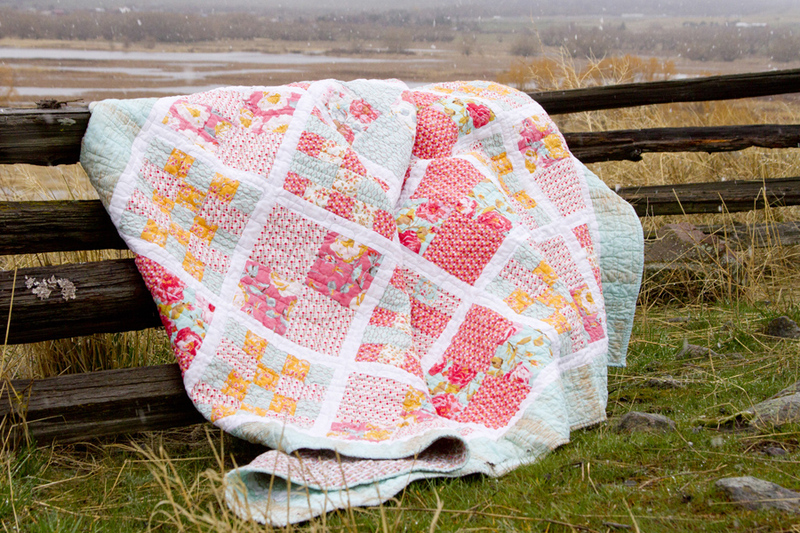 Her quilt is beautiful, and definitely worth checking out. 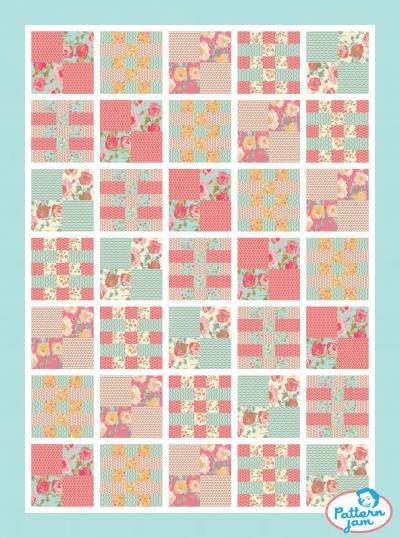 As the runner-up, I received the fabric from the pattern I created so that I could make the quilt I designed! I talked about the contest and winning here: Winner Winner Chicken Dinner. Between working on sewing projects for Christmas and other projects I started, I began working on the Chatsworth quilt, and I posted about the progress here: Chatsworth Quilt Progress. Finally, in January I spent a day at my friend Carrie’s house and finished the quilt top. I absolutely love how well it turned out! 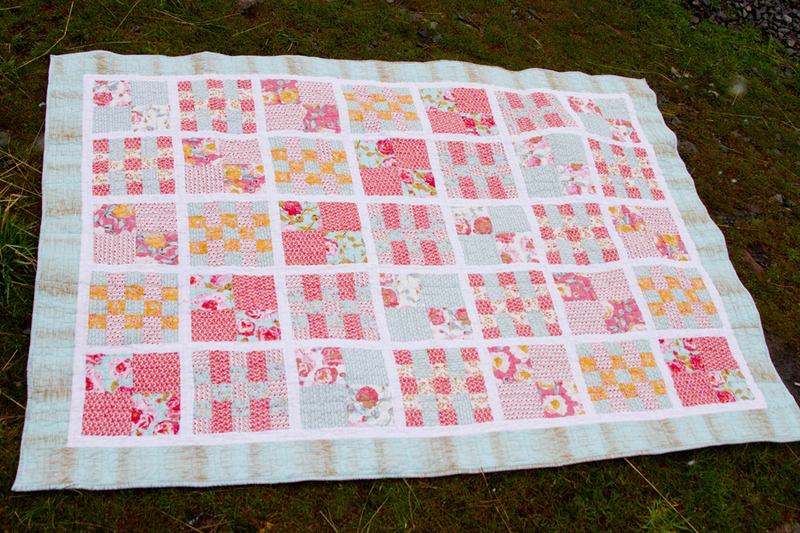 I really struggled making the decision about quilting it myself or sending it off to be quilted. My machine is not heavy-duty, and it has a hard time with quilts much bigger than lap size, so I knew it would be really difficult trying to quilt this one myself; however, I also knew that having quilts professionally quilted could be really expensive. 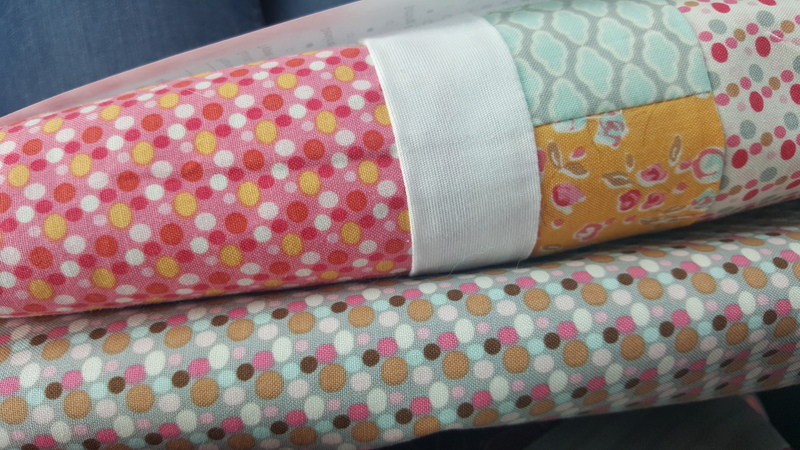 One day during the decision-making process, I read a post on Diary of a Quilter, and she mentioned that she had sent a quilt to Melissa at Sew Shabby Quilting to have it quilted, so I checked her out. Melissa has the capacity to do the computer-programmed all-over quilting, and it is reasonably priced. Melissa does beautiful custom work as well, and you can see more of her free-hand quilting on her website, Instagram, or Facebook. 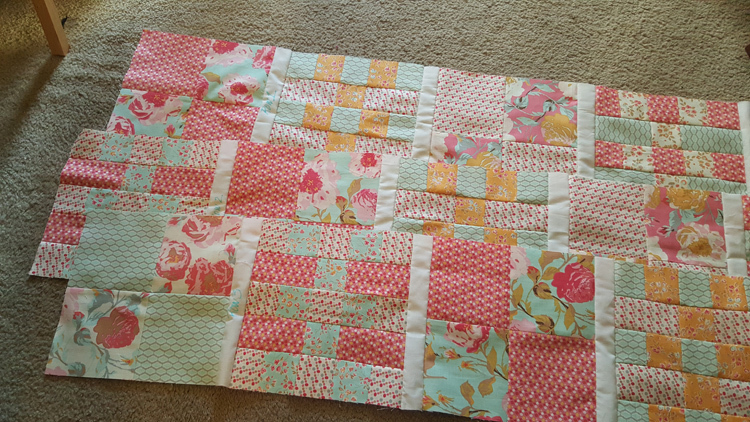 In the end, I decided to send my quilt to Melissa – since I didn’t have the cost of fabric to figure into the total cost of the quilt, I decided I would splurge and have it professionally quilted. Boy, am I glad I did! 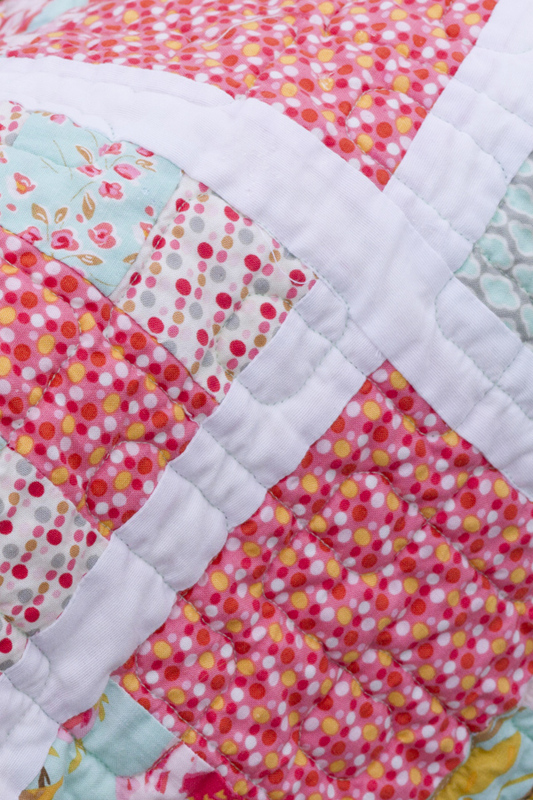 My quilt came back beautifully quilted in a contrasting teal thread and pattern that is absolutely beautiful! The total turnaround time, including shipping times from Oregon to Utah and back was just under three weeks, which is way shorter than I ever expected! Now that My Fair Lady is over, I have my evenings and weekends back, and I was finally able to get the quilt bound and washed last night. I was a little indecisive about taking it out for pictures today because it’s been snowing and raining, but in the end, I couldn’t resist. I have never made and kept a quilt for myself specifically, but I am keeping this one for sure. I absolutely love it, and it was a definite labor of love from start to finish! 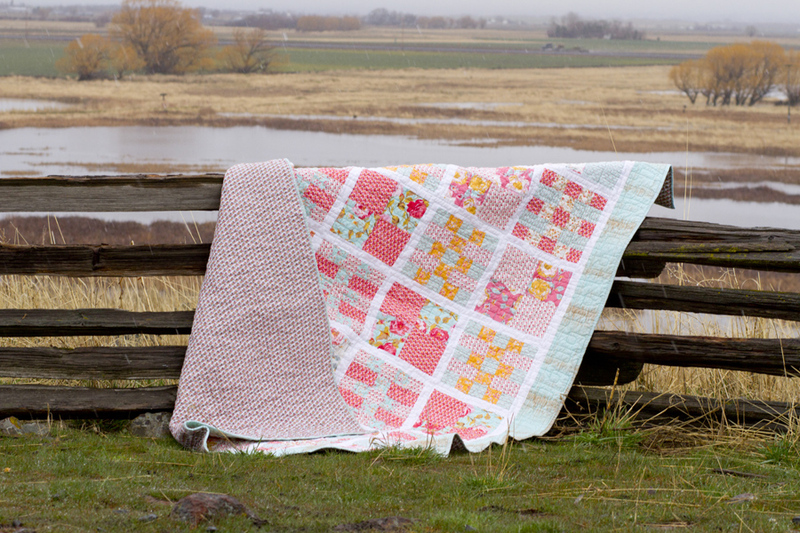 I am SO happy I found a professional long-arm quilter who I can trust with my quilts (not that I make a lot of them), and I will definitely use Melissa again! 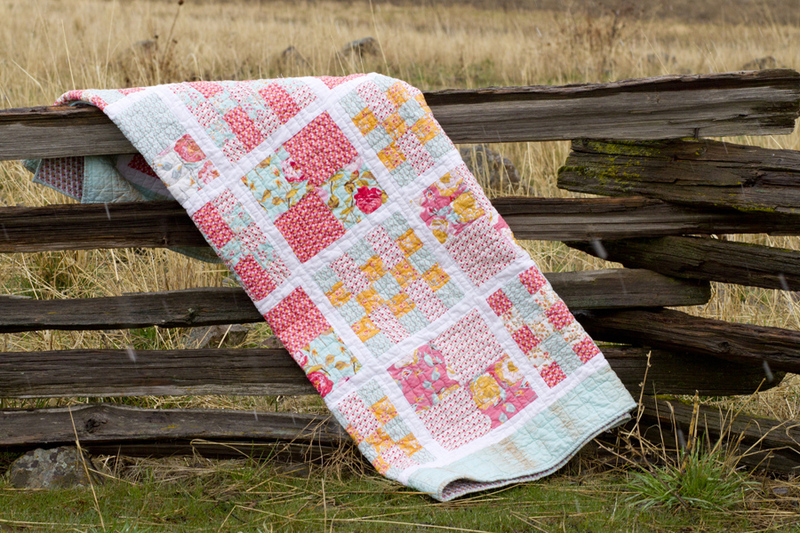 What a beautiful quilt….love it! I am so glad you are keeping this one, since it is a first designed by you!! I hope it is only the first of many more…..
Congratulations on a great finish!! It really was a labor of love, and I don’t think I could bear to part with it.